Ever looked at an afghan and gone, “yeah, it’s nice and all, but I wish the stitches didn’t look so small.” Well, one Etsy user has your solution. 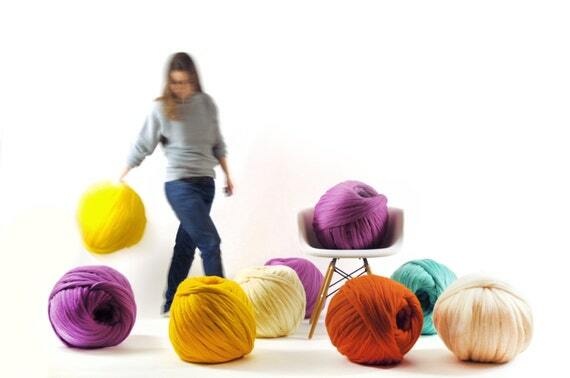 Ohhio, creates and sells 100% wool yarn balls, and the needles, with yarn that is so thick that each row is 2-3″ tall. 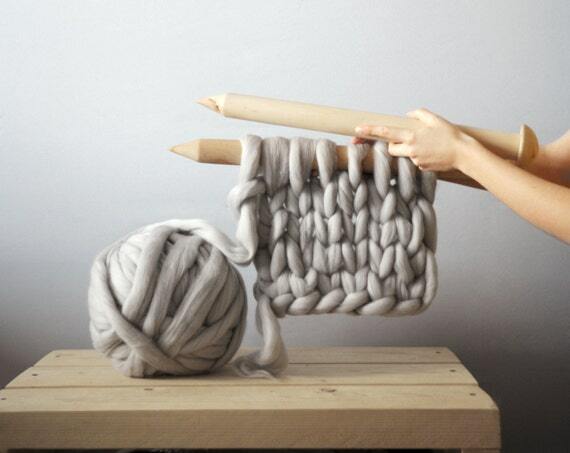 I cannot imagine working with 40mm needles, but wow that blanket would be done crazy fast if you were good at it.